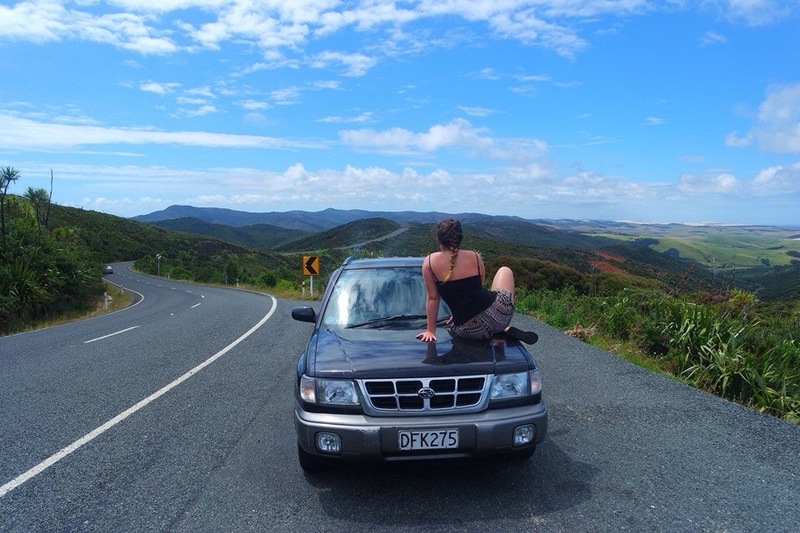 After spending some time getting to know Auckland, we ventured up north. 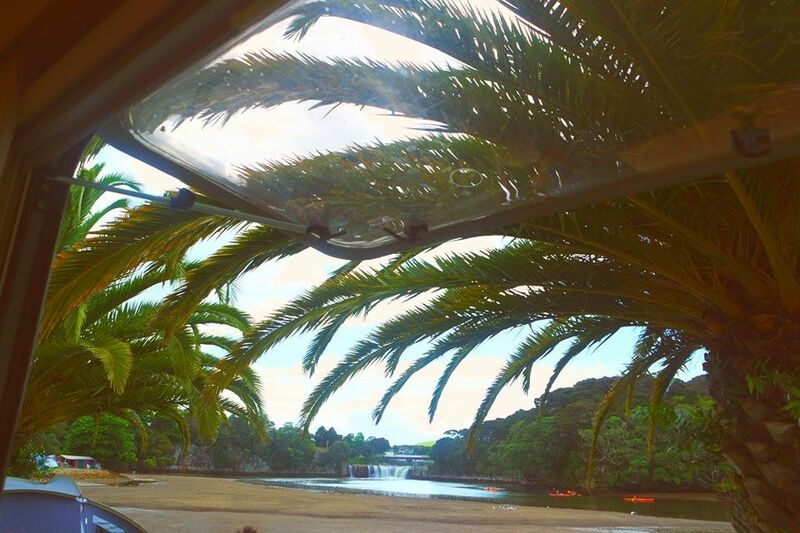 We were very fortunate that our friends parents had a caravan up in Paihia where we stayed for 5 nights. Last time we came to New Zealand we didn’t get chance to go any more North of Auckland, so it was exciting to see what the Northland was like. 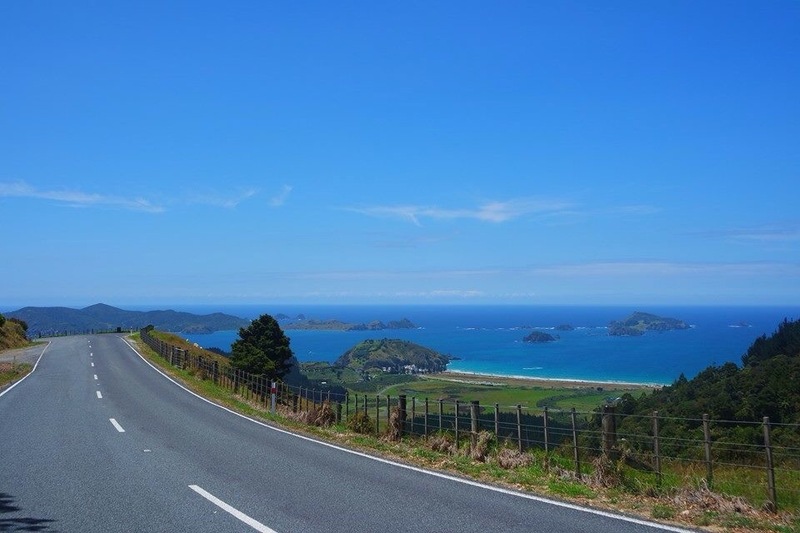 The road trip from Auckland to Paihia normally takes around 3 and a half hours. For us, who decided to take the scenic route up the east coast, it took over 6 hours! We saw some amazing sights though and even though it was a boiling hot day and the torture of being stuck inside a car, it was so worth it for the pit stops we did get out and see. The beaches up there are insane, white sandy beaches with rolling powdery sand dunes looking over the turquoise ocean. We also stopped at a small town called Waipu, there wasn’t much there but we called in a funky bar that was decorated like an old cowboy film for a much-needed cold beer. It really felt like we were in the sticks and I loved it. As we got closer to our destination, Tom saw on the road map a sign for “Longest footbridge in the Southern Hemisphere” of course he really wanted to see it, and why not, I mean it sounded like a must-see, right? It meant it would add an extra hour and a half on our already long journey and would entail 20k of gravel dirt track up around the bush cliff tops and me feeling nauseous in the back seat. But we did it. In my head I had imagined a huge rope bridge joining one side of a majestic cliff top to another, with a wild river gushing below, I’m scared of heights so I was already prepping myself for this new challenge. Well, there was definitely no need to worry about heights with this bridge. I’m not going to lie, it wasn’t exactly a wonder of the world, or a wonder of New Zealand for that matter. It was very average looking in fact and didn’t exactly take our breaths away. Nevertheless it was an amusing experience and just so typical of this sweet country. I remember coming here the first time and every little town you go to, that you’ve never even heard of, has some sort of crazy world record. Like the biggest gumboot statue, the oldest toy museum and now, the longest footbridge in the Southern Hemisphere. It really was funny when we saw it and you can’t even pretend to be disappointed or let down by the huge statement it claims to be as it’s just so cute of New Zealand. 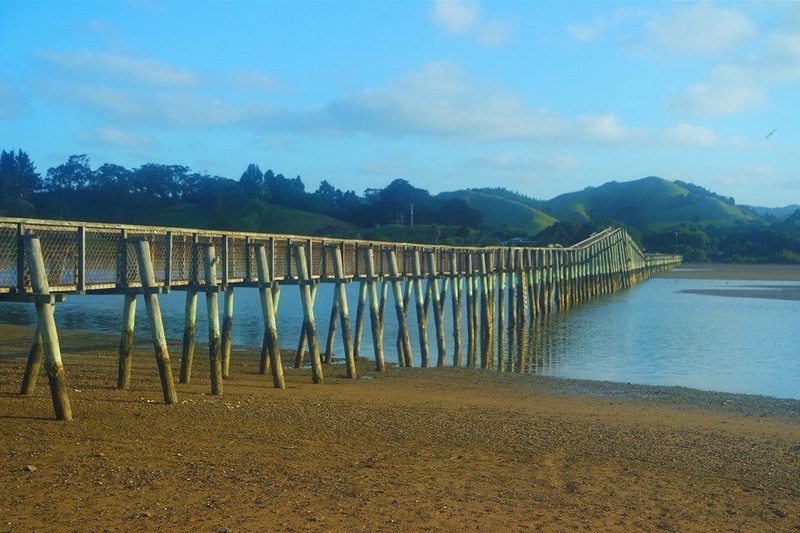 After our exciting ordeal with the bridge, we arrived in Paihia about 9pm. It was dark and at the camp site we could hear loud running water which in the morning we discovered was a waterfall right in front of where we pitched. It was a beautiful site, so peaceful and serene. 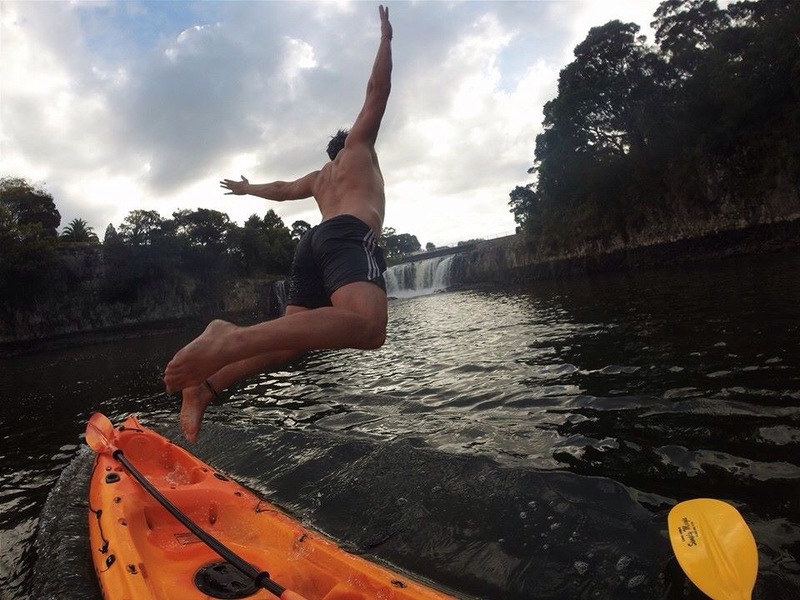 We kayaked across the lake to Haruru falls, then kayaked down the river to the ocean. One of the days we had booked a tour to see wild dolphins. 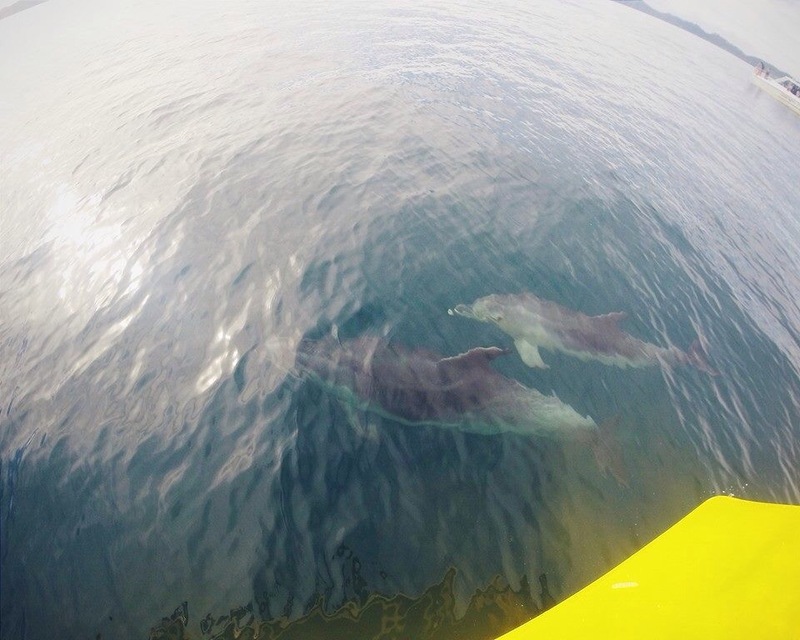 The tour had said you could swim with them too, however the pods we saw had baby Dolphins in which meant we couldn’t. 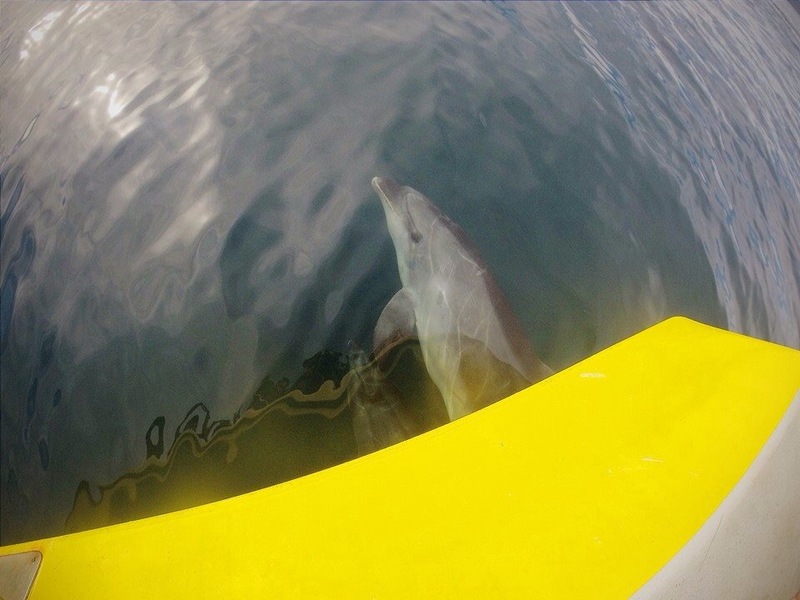 It was still so surreal though to see wild dolphins, they chased the boat along the water swimming right underneath us. I was like a kid at Christmas when I saw them, such majestic creatures and so intelligent. During that boat tour we also got to see more of the bay of islands. It really is so beautiful up there, especially if you get chance to go out on the water. 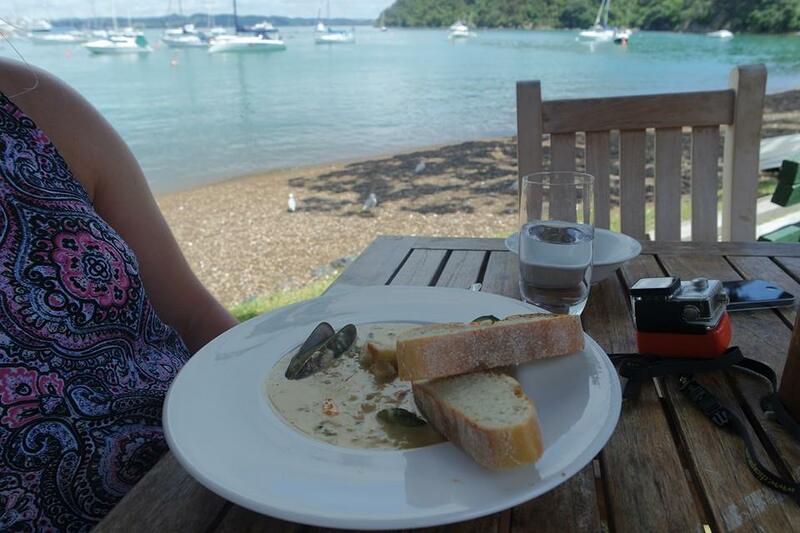 We also got across to Russell a few times, you can catch the ferry from Paihia it takes about 10 minutes. I have to say it was the cutest ferry I’ve ever been on too! Russell was once known as “the hell hole of the Pacific” pirates used to run wild here, drink, drugs and prostitutes, the lot. Now it is a bustling romantic sea-side village, where you just couldn’t imagine any of that going on. There isn’t a great deal there but it’s a very pretty village with a lot of character and history there. 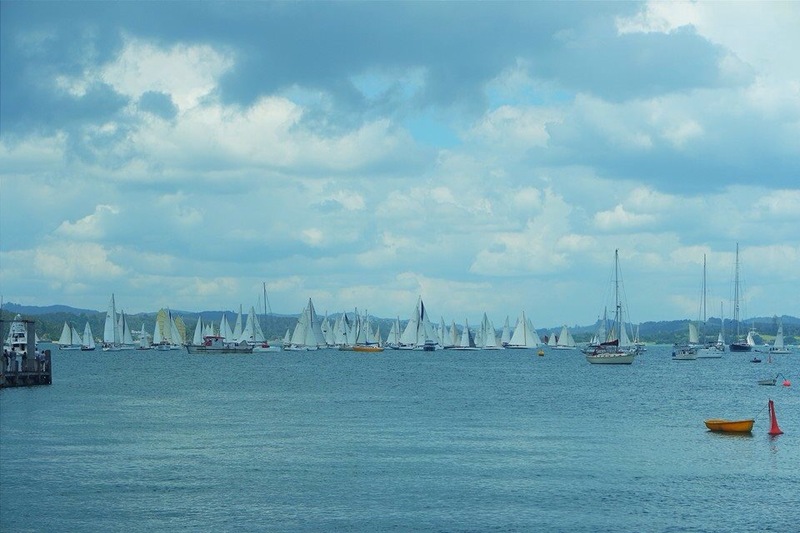 When we went there was a boat race on, hundreds of sail boats took to the water, it was great to watch. The seafood chowder is delicious there too! 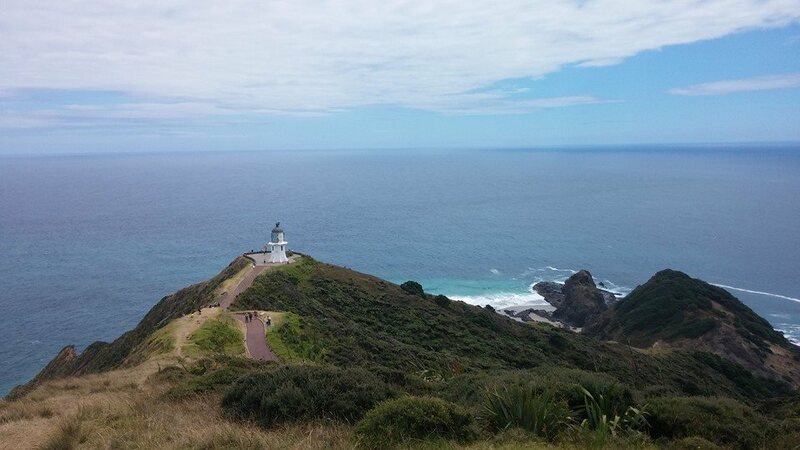 We carried on driving further North, we didn’t know exactly where we were driving to yet but we know we wanted to see Cape Reigna, the most northern point in New Zealand. 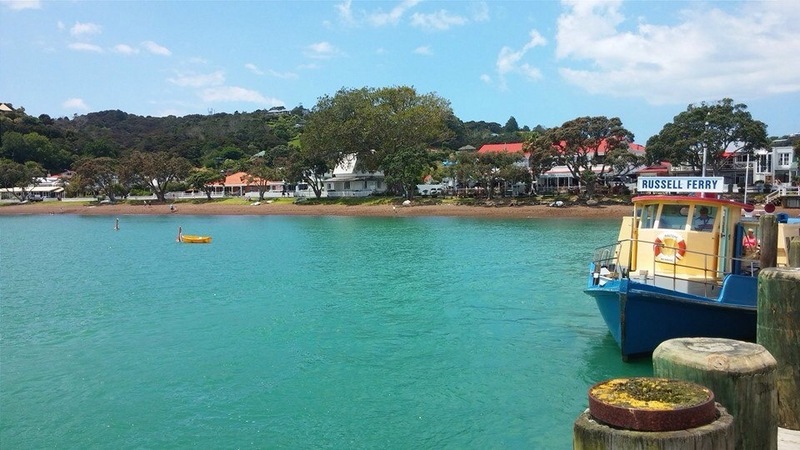 After another scenic cruise we arrived at Doubtless Bay. We’d never heard of it until looking at the road map when deciding where to set up camp for a few nights. The bay is made up of 4 small towns all about 2 minutes drive from one another. We initially thought we would stay on a docking camp site looking over Mai Tai bay which is located on the Kari Kari peninsular. But after 10k of gravel driving there and it being very over crowded, we decided to find somewhere a bit quieter. 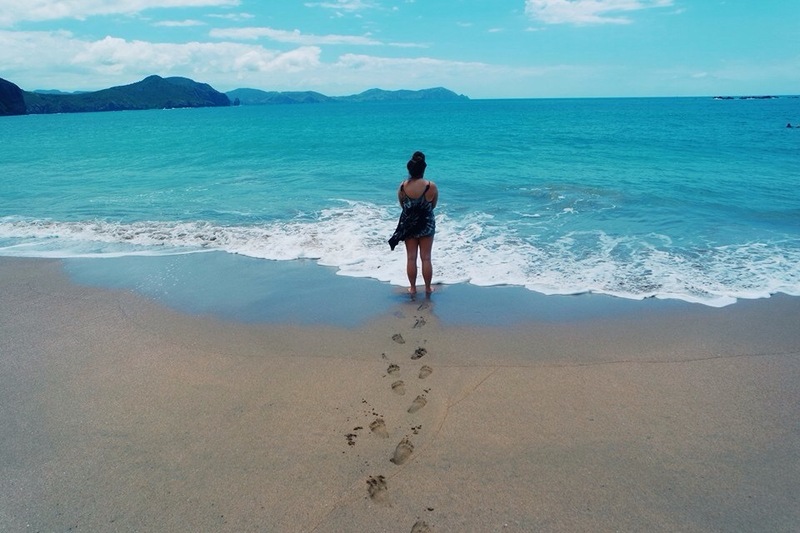 Mai Tai bay is beyond beautiful, along with every single other beach in that area. 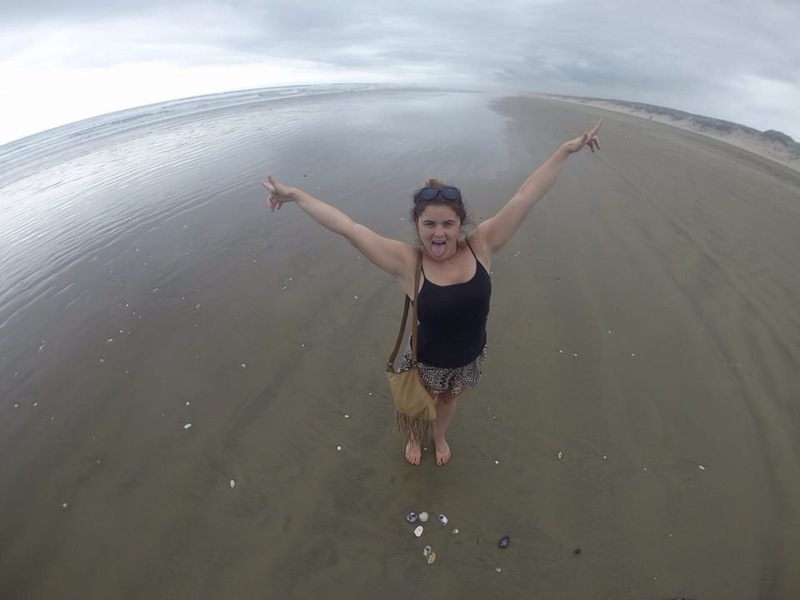 Whoever said Australia had the best beaches, clearly haven’t been to Northern New Zealand! 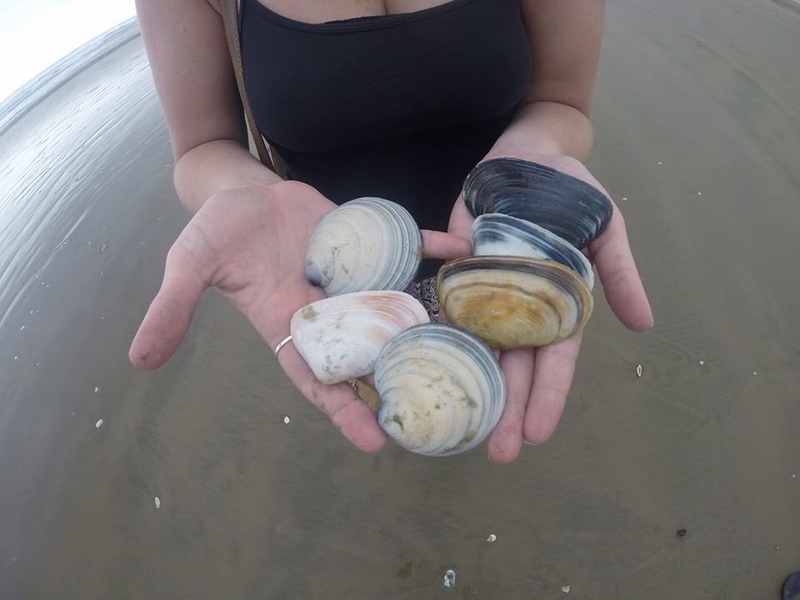 I would go as far as stating that they are the most picturesque beaches I’ve ever seen without a doubt. 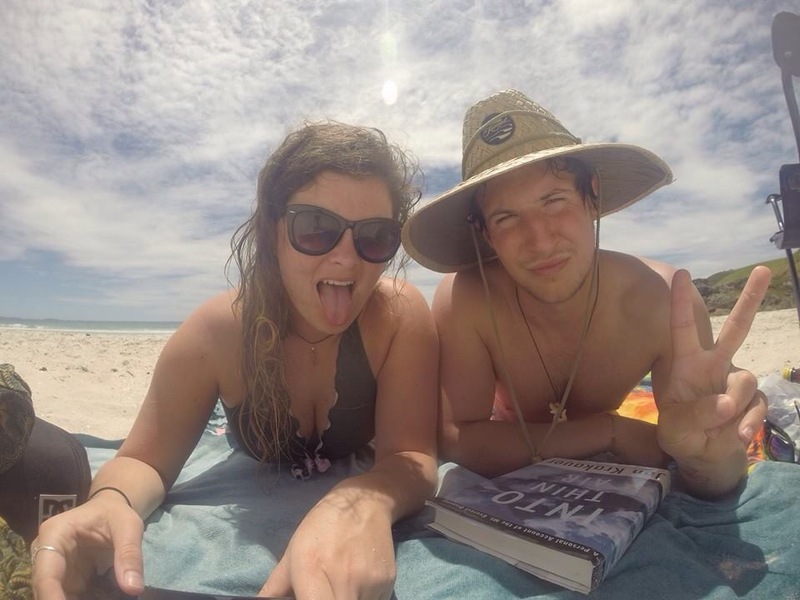 We found a camp site on Tokerau beach and ended up camping there for 4 nights. 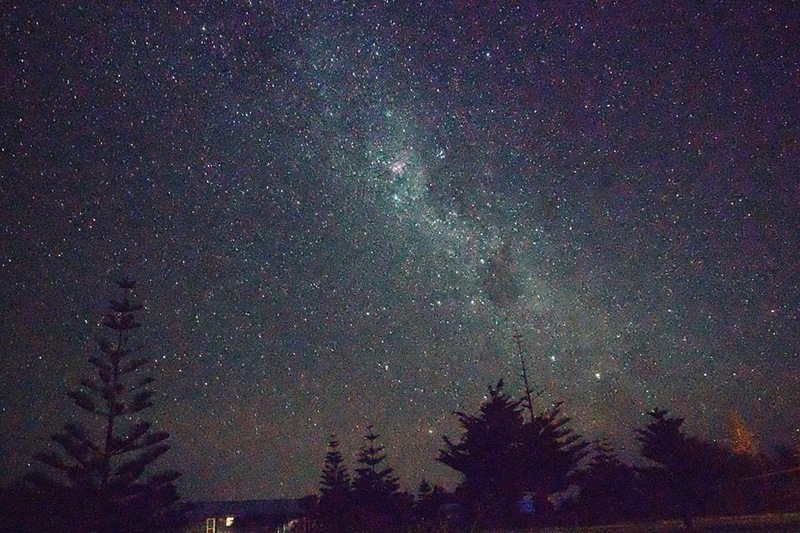 It was completely peaceful and relaxing, not to mention the incredible star show that’s on every night! 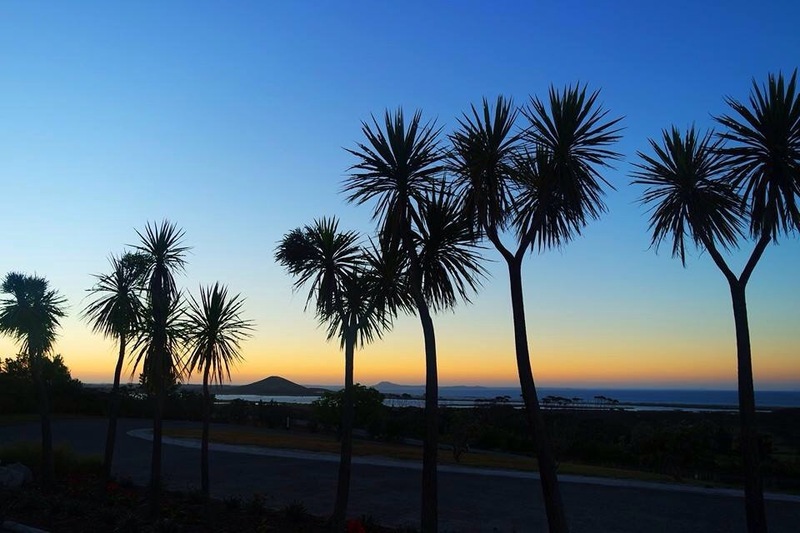 I’m so glad we found this little haven, it really is a secret gem, even some kiwis had never even heard of it! 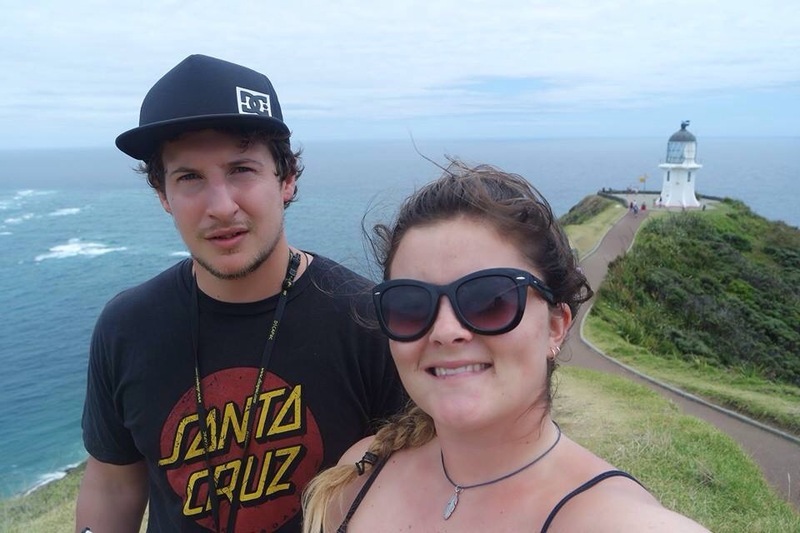 If you do get chance to go, make sure you go to the small town of Mangonui for the “world-famous best fish and chips!” (Another huge statement made by the Kiwis, but they’re not bloody wrong!) Also, make it a priority to go for dinner at the Kari Kari Estate Winery! 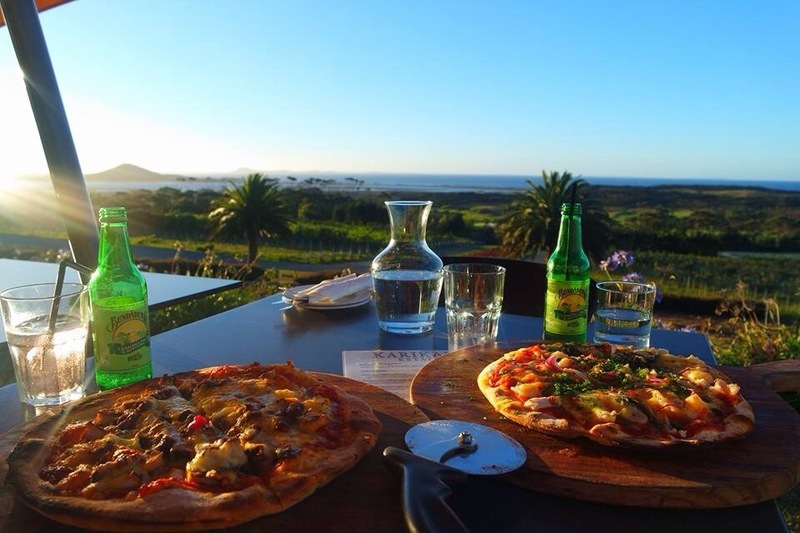 I wasn’t keen at first as it sounded a bit too fancy, but wood fire pizzas for $20 each and a view that is utterly breath-taking… Seriously I’ve never had dinner with a view like that in my life and don’t think I ever will again. The only way to describe it was like looking out onto an African plain surrounded by savanna trees, with the gorgeous sunset claiming the ocean on one side and rolling green hills with picturesque vineyards on the other. The pictures don’t even do it justice, you just have to go… Do it! View from the Kari Kari Estate Winery, bliss! Our next stop was North… Very North. It took about 2 hours to get to Cape Reigna. The drive on to the Cape was spectacular, round the sides of red dusted cliff tops overlooking the magnificent blue ocean. I didn’t really know what to expect, I’d seen it in pictures and thought it looked lovely. But actually being there was totally different, reading the history behind it and how important it is to Maori culture. It felt very spiritual being there, standing on top of the huge cliff looking into the still calm open waters of the Pacific. Maori legend has it that this place is where spirits depart the earth once they die. I know this sounds far-fetched and not believable but being there in the serenity of it, you could easily believe it to be true. At least I definitely hope my spirit departs from there, it’s heavenly! It was just a shame there were so many tourists…. After seeing the Cape we went sand boarding on the dunes. I say “we” but really it involved me waiting up the top for about an hour, scared to go down, and Tom getting annoyed as we only had one board and he had to keep walking all the way up to persuade me. The sand dunes were so so high and it was a tough old work out just climbing to the top in the scorching heat! When you’re laying on your front you can’t see what is below you and that made me really anxious. I know I’ve done sky dives and swings before but for some reason I couldn’t do this. Tom finally had enough of waiting for me and said he was going down once more so I’d have to walk and meet him down there. He got to the bottom and I remained stubbornly seated at the top for a while until he angrily and very sweaty came up to see what was going on. I got the board from him and just did it, I thought to myself I haven’t come all this way to chicken out, after all there were 12 year old kids doing it for goodness sake! And like most adrenaline activities I’ve encountered/got forced into by Tom, I did it, didn’t particularly enjoy it and will not be doing it again… Or at least for a while. Of course we couldn’t go to the top of New Zealand without stopping off at 90 mile beach (even though it’s actually 55 miles?!) It’s hard to believe that a beach runs the whole length of the coastline for that long, you can’t actually comprehend it from just standing on it. The locals use it as a road, but only for 4wds as its common to get stuck on tides. It’s definitely the prettiest motorway I’ve ever seen that’s for sure! ← Auckland on a second glance.